The Malaysian Institute of Economic Research’s Q3 residential property survey saw its residential property index (RPI) fall to the lowest level in four quarters but still staying above the 100-point demarcation level at 118 points. It said this suggested confidence in property remained, but was trending downwards and implied cautiousness in the months ahead. “The latest reading is pulled down primarily by builders’ expectations of production and sales for the near term. Their assessment of present conditions is also generally less encouraging than in the previous quarter, except for current production,” MIER’s survey report said. However, MIER said sales continued to hold their own in the quarter. It said 41% of respondents described their sales as satisfactory and 38% as good, with just 21% responding negatively. While demand for bungalows has slowed down, landed properties have generally remained popular. Double-storey houses are cited as the best-selling type, with 52% of respondents confirming this, while 31% cited single-storey houses and 7% condominiums. More houses were constructed in Q3. 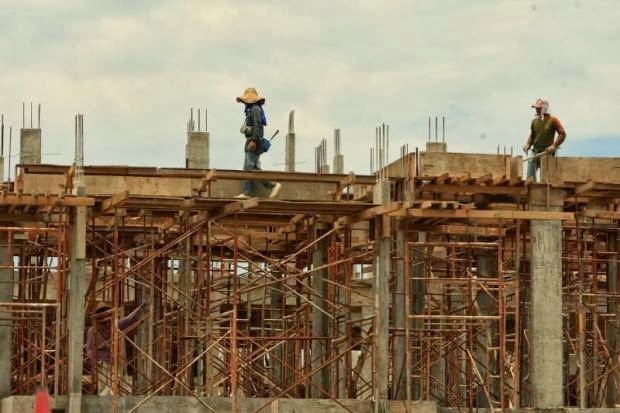 “About 31% of correspondents built more homes in Q3, the highest proportion tabulated in nine quarters, representing a whopping 72% jump quarter-on-quarter,” MIER revealed. It said while this may be due to the current drawdown in new unsold units, people were also probably buying ahead of expectations of a hike in interest rate. However, new bookings slipped for two quarters in a row, with just 47% respondents reporting more new bookings compared to 50% in Q2. Property remained expensive, even though fewer respondents increased prices in Q3 (56%) than in Q2 (57%) or in 3Q12 (63%). According to MIER, prices are likely to remain about the same in the coming months. The survey also showed that while home loan applications had gone up, approvals were down, following the recent cap on loan tenure by Bank Negara from 45 years to 35 years. Meanwhile, job prospects in the property sector, while still holding their own in the quarter, are showing signs of moderating. “Not only is there a bigger majority of those who have retained their present staff, those who hired more are also smaller in number – with 86% and 11% being polled respectively, compared to 61% and 39% in 2Q13,” MIER said. In this quarter, only 3% of respondents have retrenched employees compared to 9% last year, but payroll did not budge much with 69% saying they did not make any adjustment to employee salaries in the quarter, against 25% who did. “Builders are bracing for a more cautious outlook in the near term. Not only are they adjusting their sales forecast lower, they are also less optimistic about their selling prices – preferring to maintain existing prices for now.